This class is for intermediate and advanced ceramic students who are self-driven and wish to establish their skills. 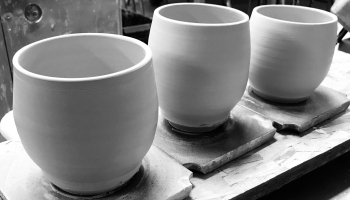 Students are encouraged to explore many of the artistic and functional approaches to handbuilt and wheel thrown ceramics. This class includes demonstrations, and individual instruction designed to help students further grow their skills and interests. Some tools are available from the instructor to assist in the progression of an art piece. This event has been viewed 173 times.